A change in how the UO pays tuition for some of its graduate teaching fellows, specifically those working as research assistants, will free up more money for research and could allow the university to boost GTF hiring. While the majority of GTFs are in teaching-related roles, 17% work as research assistants. The change, which goes into effect this fall, reduces the amount of tuition paid out of grants for research assistants who have been advanced to candidacy in a doctoral program, making them eligible for a Level 3 GTF appointment. Instead of taking the full amount of tuition for those students from the grant, the university will only charge the first three credit hours to the grant. The rest of the research assistant’s tuition will be paid from university resources being made available for that use. The effect will be to make more grant funding available, which can be used to do more research, for example by hiring more graduate students. Graduate students need to be enrolled full time ― by carrying at least nine graduate credit hours each term ― to receive a graduate teaching or research fellowship. 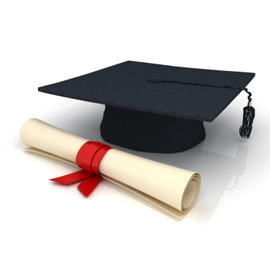 Doctoral students also need to take at least 18 total research credits to obtain their degrees. Level 3 GTFs generally have completed all coursework and are focusing exclusively on the research needed to complete and defend their dissertations. That can involve work such as lab research, clinical studies, field work, analysis and writing. In another change that takes effect this fall, non-GTF doctoral students who have advanced to candidacy will need to be enrolled for only three dissertation credits to be considered full time students. That effectively reduces the number of credit hours needed to be eligible for financial aid. The move will lower the cost of completing a doctoral program for students whose tuition isn’t paid through a teaching or research fellowship.